In the 1980s, rallying was more popular than Formula 1, but its unregulated mayhem using extremely powerful cars would end abruptly in 1986 after a series of horrific tragedies. In the 1980s rallying was more popular than Formula 1. 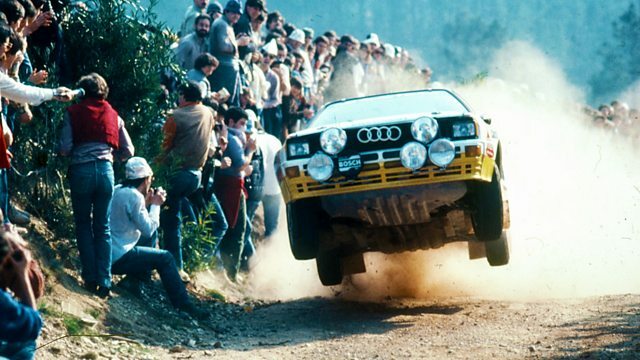 'Group B' machines had taken the world by storm. Deregulation opened the way for the most exciting cars ever to hit the motorsport scene. Nothing like it has ever happened since. 'This is the fastest rallying there has ever been' - Peter Foubister. 'The fans were crazy. As the cars sped by the spectators ran into the road!' - Ari Vatanen. 'They were playing with their lives'.